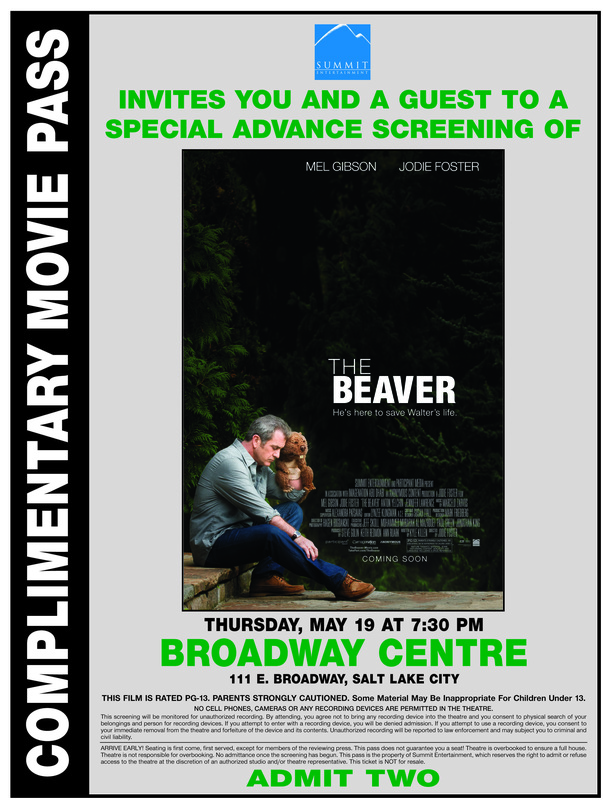 Summit Entertainment and The Reel Place are excited to offer you passes to a special advance screening of The Beaver on Thursday, May 19 at 7:30PM in Salt Lake City. To print your passes, simply click on the image above and print the enlarged image that opens in a new tab/screen. Having a pass does not ensure admittance into the screening. You must bring your pass(es) to the theater prior to the screening to exchange them for actual tickets. The screening will sell out, so be sure to arrive extra early. Thanks for getting your passes from The Reel Place and we will see you there!